My family has been involved in aviation since World War One, when my Grandfather, Michael Hume Christie, flew a Sopwith Camel over France. He also organised the 1955 England to New Zealand Air Race. In the early sixties, my Father-to-be met Mick's daughter, Leslie Christie, who ended up being my Mother. My Father, Bill Sherwood Snr, was a pilot then as well, and he flew in Papua New Guinea for Territory Air Lines, or TAL as they became. (A short while later they renamed again to be called Talair, and they were PNG's major second level airline for many years) He was then employed by TAA (Trans Australia Airlines, which became Australian Airlines, which then amalgamated with Qantas in the early 90's) flying single engined Otters. he was then promoted and moved to Brisbane. 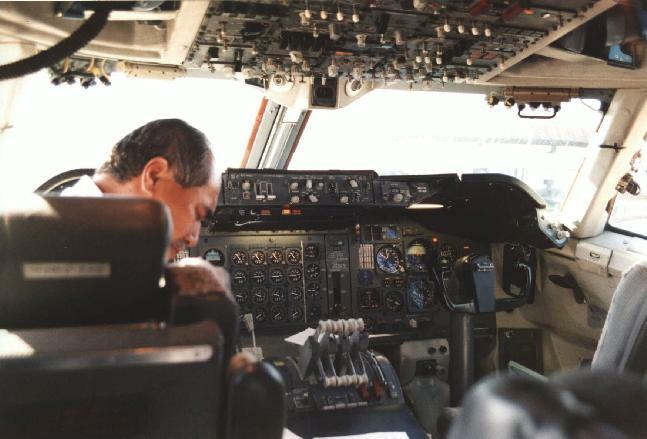 After settling in Brisbane, he moved through the ranks, flying DC-3's, Twin Otters, DC-9's, and eventually became a senior Boeing 727 Captain, retiring in 1987. So, I've been involved in aviation for as long as I can remember, and I really haven't considered doing anything else. I've been flying since 1983. I started my first job as a flying instructor on the Gold Coast, Australia, then progressed to Chief Pilot with a small charter company on the Gold Coast. 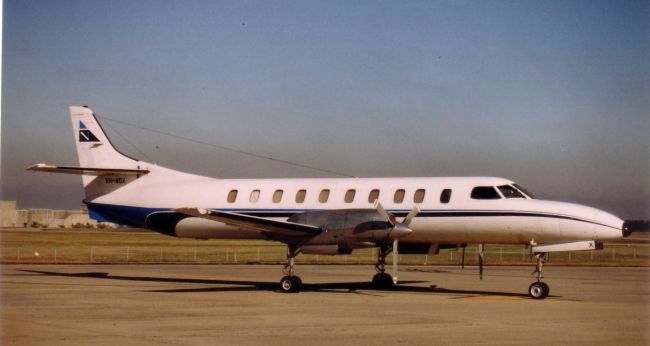 I then managed to get a job flying a Cessna Citation 2 as First Officer, flying from Cairns to Brisbane and back a few nights a week on night freight runs. After a year, I made it up to Captain on the Citation and flew it for a number of years. I then went sort of backwards and flew a Metro 2 turboprop for a few years for various people in Australia, again mainly in the night freight scene. 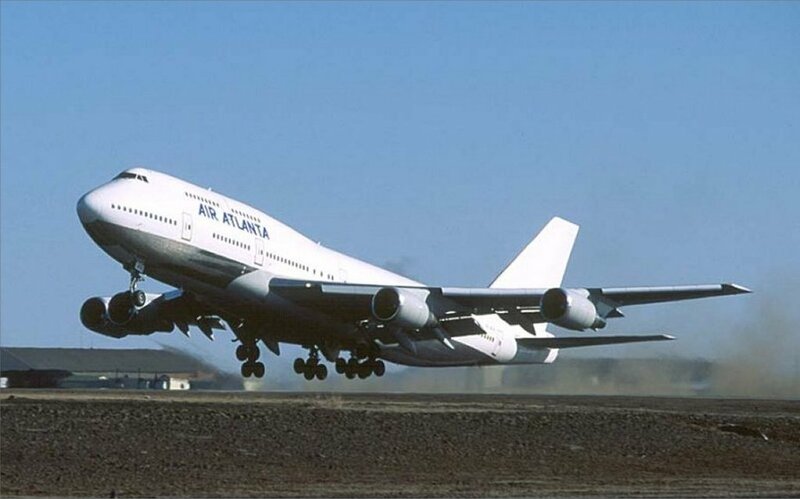 As of September 1997, I managed to get a contractor job with Air Pacific (Fiji's national airline) as a First Officer on their Boeing 747-200. That changed again with the May 2000 coup - like almost all of the other contractors I lost my job and had to find work elsewhere. 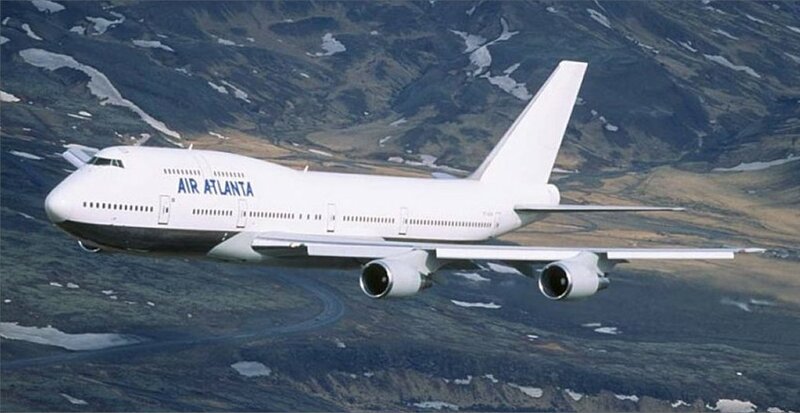 I madly emailed and rang around everywhere I could, and much to my surprise a job with Air Atlanta Icelandic was available at short notice. So, in July 2000 I flew off to England to start the transition training. I was with them for little over a year, then they offered me the Captain's seat which of course I grabbed. However, with the terrorist attack on the World Trade Centre on 11-9-2001, I was but days away from starting my training when it was cancelled. It finally happened in January 2005. I stayed with Air Atlanta Icelandic until late 2007, then I quit them and got a job with Qantas, based in Sydney, as an Airbus A330 simulator instructor. But for various reasons I decided to move on again and then started working again for Pelair on Metroliners, doing night freight. That job finished in May 2009 and as I write this I'm not flying anymore. I doubt I'll get back into it .... twenty-six years is enough and so it's time to do something else. Here's a picture of what my plane (Air Atlanta Icelandic) looks like, in some scenic shots of it flying around Iceland. The plane is 70.4m or 231ft long, with a wingspan of 59.8m or 196ft. - It has nine fuel tanks. It carries a total of over 160 tonnes of fuel. - It can cruise at over 575 mph for over 14 hours. - It weighs up to 379 tonnes. - The cockpit has about 970 switches, dials, knobs, lights, and gauges. This is my 'office', and I have just vacated the right hand seat to take the photo. This was taken just after I'd done my 'Base Check', which allowed me to start my line training with Air Pacific. Australia, New Zealand, Fiji, Japan, Taiwan, Hong Kong, China, Malaysia, Thailand, Indonesia, Bangladesh, Pakistan, India, Yemen, Saudi Arabia, Kuwait, Qatar, Iran, Philippines, United Arab Emirates, Sudan, Egypt, Algeria, Morocco, Nigeria, Turkey, Greece, Spain, Tenerife, Azerbaijan, France, United Kingdom, Holland, Belguium, Luxembourg, Iceland, Carribbean, USA, and Canada. I have also operated flights for these airlines - Air Niugini, Air Pacific, Air Atlanta Icelandic, Air India, Air France, Air Asia, Excel, Saudia, Air Algerie, Virgin Atlantic, Garuda Airlines, Corsair, Iberia, Cargolux, Cathay, Lufthansa, and Malaysian Airlines. I was asked to write some brief stories about some of my lesser flying experiences, and they ended up here, here, here, and here. Endorsements: All single engine constant speed propeller, retractable undercarriage aircraft. And as you can from this short video, it really is. The car that is towed behind the plane gets flipped over and blown waaaay off behind the 747. What happens when a plane goes faster than the speed of sound? Normally not much can be seen, but with the right atmospheric conditions the shock wave can be seen. This is an F14 flying past an aircraft carrier at just on the speed of sound. Awesome! How a plane really flys! Not quite as exciting as those is a Youtube video of me taking a 747 into Dubai.